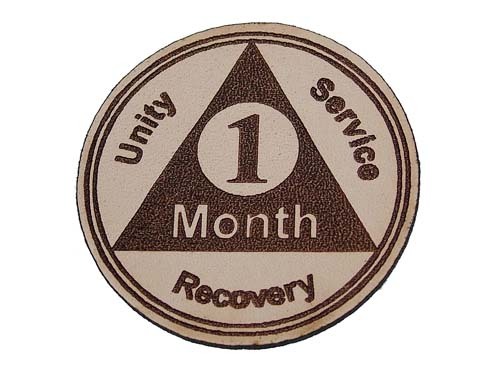 Created in response to requests for chips that could be taken into the correctional facilities, hospitals, and institutions; these leather AA Anniversary Tokens are safe and comply with various correctional facility and institutional regulations that prohibit the distribution of potentially dangerous materials such as metal and wood. Perfect for anyone in recovery, yet ideal for those taking meetings to our members behind the steel bars. 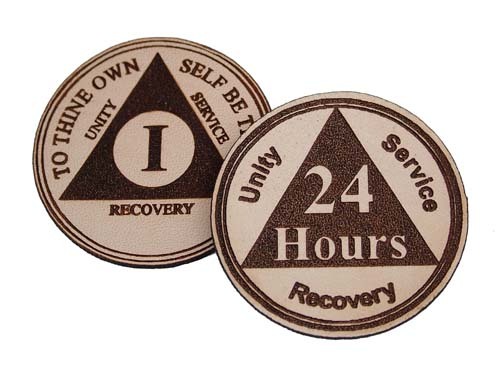 Laser engraved in the style of traditional bronze anniversary medallions, these are a great alternative recovery gift for someone who's celebrating a special AA anniversary! 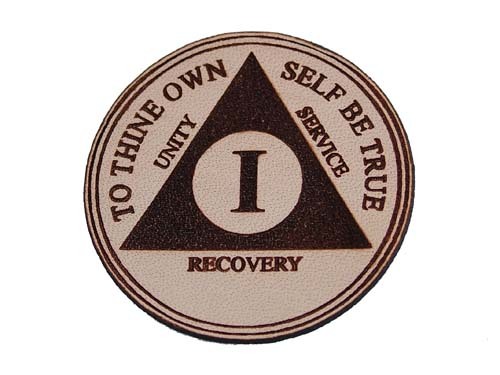 Nearly ANY of our recovery medallion designs can be laser burned onto leather. Don't hesitate to contact us with your special requests! Very nice product! High quality shipped super fast! I rubbed mine with neatsfoot oil and gentian violet tincture to dye it purple! ...of course! Super results! I really enjoy this company! They have the best prices. Recovery coins shouldn't cost 20 bucks! I LOVE Wooden U Recover!